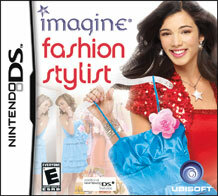 <br>In Ubisoft's Imagine Fashion Stylist, live the thrilling life of a fashion stylist! Run the greatest fashion mall in town as you open glamorous boutiques, find the best outfits for your customers and give total makeovers to your clients. Lead your mall to success as you open new franchises, work with celebrities, organize fashion shows and ultimately gain fame!